Mercury’s customer satisfaction ratings are average or worse. Has fewer auto insurance complaints than other companies relative to its size and about the median number of home insurance complaints. Auto insurance policies have few extras, which can keep prices low. Mercury Insurance has a large auto insurance customer base in California, but it also operates in 10 other states and offers additional products such as home, renters and commercial auto insurance. Its policies are sold through a network of independent agents. Mercury is a meat-and-potatoes auto insurer, with basic coverage options, including optional rental car coverage and roadside assistance. Rideshare insurance is also available from Mercury. 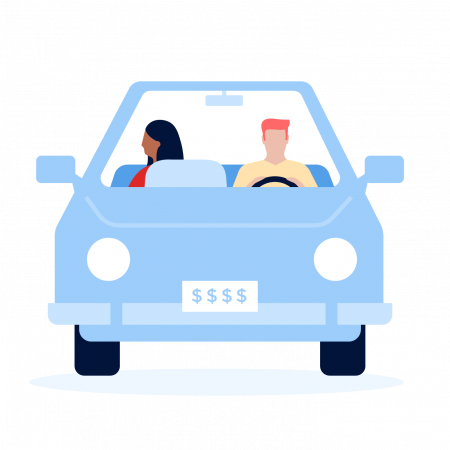 Traditional auto insurance policies don’t cover you while you drive for companies like Uber or Lyft, and those companies’ insurance only covers drivers with passengers or en route to pick them up. But while you’re waiting for a fare, neither policy covers you and that’s where rideshare coverage fills the gap. Identity theft protection and management: pays for identity theft prevention and costs related to fixing criminal identity theft, up to $25,000. Coverage for large appliances and equipment repairs, including air conditioning systems, kitchen and laundry appliances, water heaters, electrical panels and more, up to $50,000 per claim. Service pipe coverage pays for repairs or replacement of service lines such as sewer, water and gas lines if damaged, up to $10,000 per claim. Without this coverage, you would be on the hook for these repairs, even though they connect to city-owned or utility-owned lines. Extended replacement cost: pays up to 150% of your dwelling limit to rebuild your home. Additional coverage for valuables, such as jewelry or fine art, is available. Cyber coverage pays out if you’re the victim of an online attack such as online fraud or extortion, up to $50,000 with a $500 deductible. Mercury’s financial strength is “excellent,” according to ratings agency A.M. Best. Financial strength is important because it indicates how well an insurer can pay claims. Mercury had fewer than the median number of complaints to state regulators for auto insurance in 2018 relative to its size, according to the National Association of Insurance Commissioners. It had about the median number of complaints for home insurance. Mobile app: You can pay bills, view documents, download car insurance ID cards and contact your agent with Mercury’s customer app. Mechanical breakdown protection for repairing mechanical and electrical issues with your vehicle (doesn’t pay to repair wear and tear).